Like most artists back in the ‘70s and the early ‘80s, tattooing was still very private; it was almost a secret how things were done. We were making our own needles, stencils, ink everything. You could get powder pigment from Spaulding and National and things were very simple. Most of us were only using primary colors, so your complete set only had eight to ten colors. For different shades, I’m sure most of us mixed it right in our ink caps. And from those humble beginnings Eternal Ink was born. After making all the inks for his own studio and with the steady rise in popularity of tattooing making the shop busier, Tramp hired a couple of artist to apprentice and work for him. However they still wanted the inks and they would badger Tramp, telling him that he should think about making them up himself and selling them on. And that’s just what he did. Around the same time, a new music channel would start a new surge in people looking to get tattooed… things were about to jump forward in tattooing. But one of the downsides of the rise on demand for tattoos and tattoos supplies was that Tramp ended up having to stop tattooing to run his business. A warehouse was built just outside of Detroit and Tramp began to spend all of his time there, concentrating more on his inks. “My son Jesse was, and is also a tattoo artist, and I finally got him to come out and help me with the inks. Jesse has tattooed for 20 years and now he runs the ink mixing room. 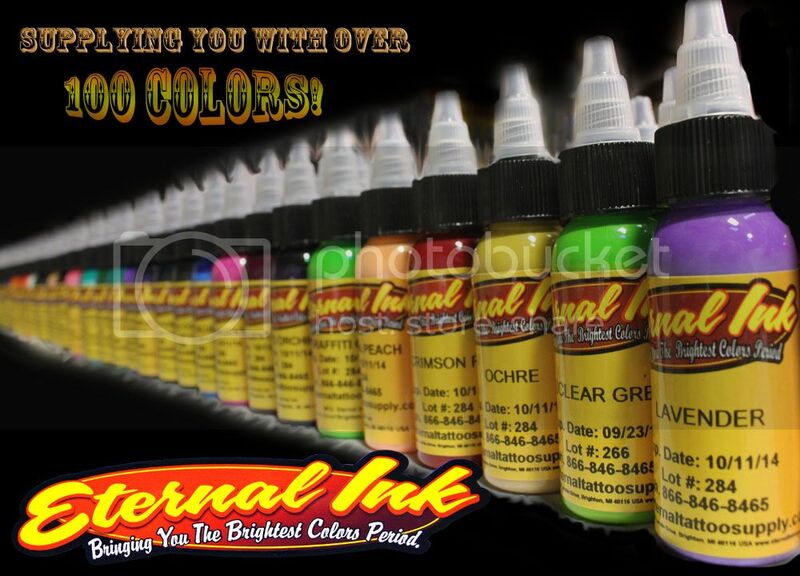 With over 150 colors and working with so many great artist, we pride ourselves on not only being tattoo artists but on making the best tattoo inks on the market,… and with the best consistency, second to none. Our color blends are perfect match each time. 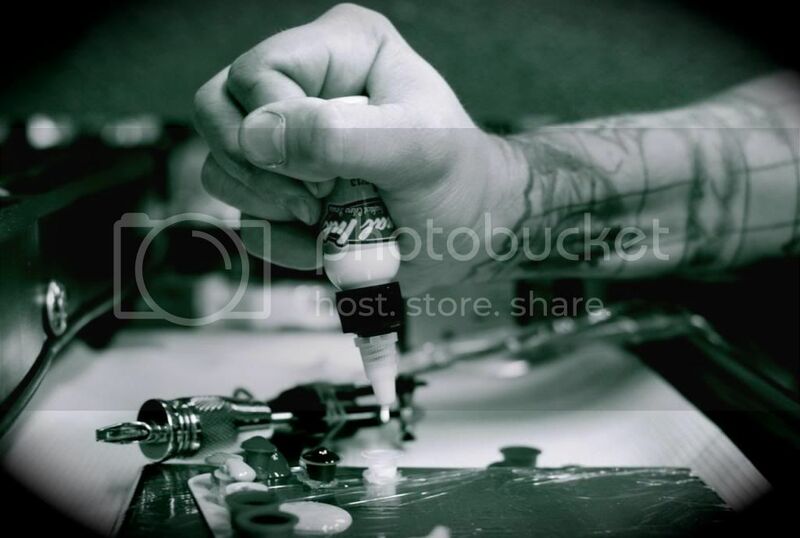 Our job is to give the tattoo artist what they want each and every time; our dedication is to them. But eternal is no longer just an ink supply company. Over the years, Tramp has worked hard in building it into a solid tattoo supply business, where it is hard not to find exactly what you need. 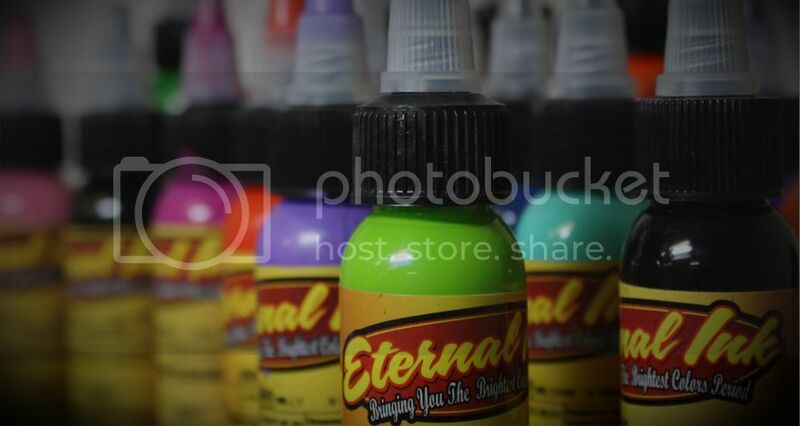 “Eternal tattoo supply and eternal ink continue to grow each year. I have been fortunate enough to see that industry expand and keep on growing. And with society now seeing tattooed people as the norm with most people having tattoos, or at least knowing someone with a tattoo; it has become much more acceptable in the working field. At one time, and still in some cases, people were afraid to show their tattoos thinking they would be look at differently, but now with so many people being heavily tattooed and the quality of the work being done, people are asking to look at your tattoos because of how good the work is. And with all this work, dose Tramp still get time to tattoo? 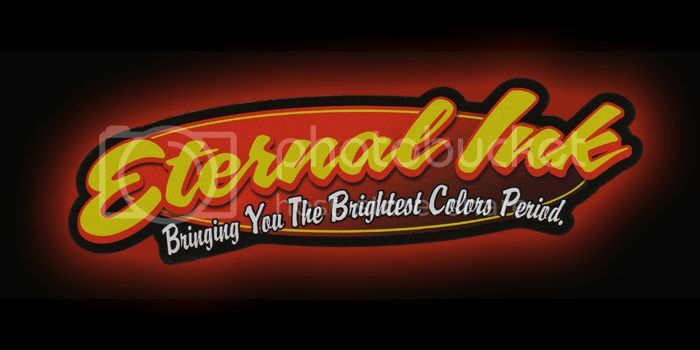 The tattoo world is a fickle place, and for someone like Tramp and Eternal Tattoo Supply to stay the distance, there has to be more than just a great product. And it’s not only hard work and dedication; it is being a part of something you truly believe in and love. In an effort to come up with a better product, mike began to play around with the old formula to see if he could improve on the recipe. “after some trial and error, i was able to create a better sticking solution. At the time i was just making it for all of us in the shop. then one day, on of the guys in the shop said, ‘hey, this stuff works so well you should sell it!” A few of the guys laughed and teased me, but being very competitive in life i was like, ‘Oh yeah, ok, we’ll see. i’ll show you’. And that is how it started. the name stencil stuff was really or nickname for it and it just stuck. The guys would shout, ‘you got any of that stencil stuff?’ The name just seemed to fit”. In the beginning, Mario spend a lot of time trying to work out how to make stencil stuff a viable product, as well as figuring out the means to get it onto the streets and into the public’s hands. Right around the time Mario was Finalizing the formula for Stencil Stuff, one of this best friends, Mike DeVries, came on board as his partner. With everything falling into place and two creative and passionate minds working towards the same goal, Stencil Stuff started making its mark on the tattoo world. In the beginning, Mario started running the business out of his house, but it didn’t take long to outgrow the space and it would be several more moves before stencil stuff found its current location. “almost two years ago we purchased a warehouse in southern California. At times i wonder how long it will be before we will have to expand that. the warehouse is not open to the public as it really is just a warehouse to ship products out of. I have a shipping manager that handles all shipments and a full-time outside salesman that handles all of the accounts. We have a lot of dealers out there. we are currently shipping all over the world and expanding into new countries every week, Larger amounts of products are shipped directly from our Manufacturer, which is a good thing because we would need to place three times the size if we did it all. And Stencil Stuff is not the only product that mario and the team produce. there is a lot more ‘stuff’ on their shelves that are gaining just as much popularity as the original. “We created Spray Stuff which is used to keep your marker drawings on better. Artist that use it really love it! We put the same quality into it to ensure its safeness and it really does work great. it’s the only thing on the market like it. and it doesn’t look like it will end there. 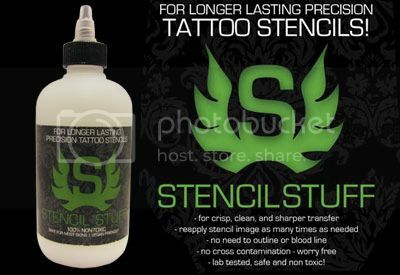 With everyone behind Stencil Stuff fully immersed in the tattoo world, it won’t be long before we see another successful product making it into the studios.